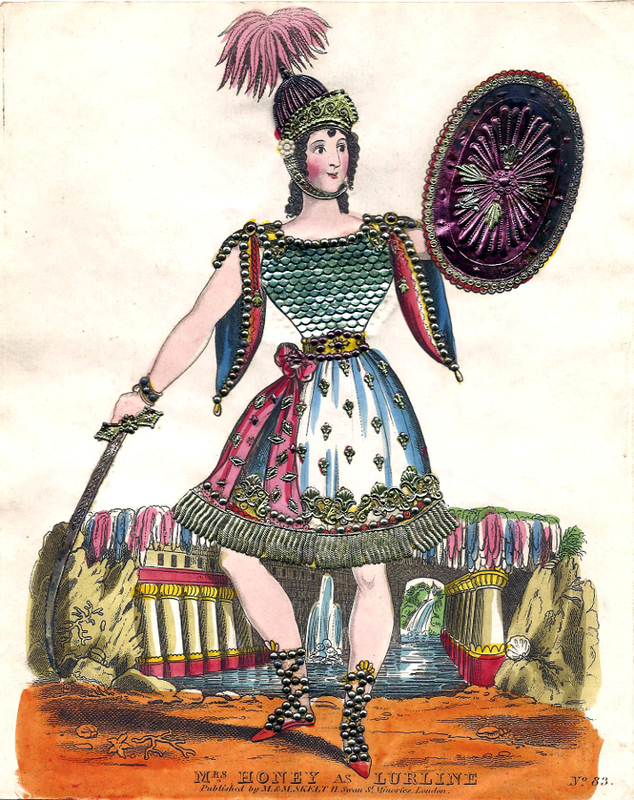 The Adelphi Theatre Project: Graphics, Image for Honey, Laura (1816?-1843): Actress, singer. Hand colored, tinseled print. Graphics, Image for Honey, Laura (1816?-1843): Actress, singer. Hand colored, tinseled print. Honey, Laura (1816?-1843): Actress, singer. Hand colored, tinseled print. Honey, Laura (1816?-1843): First appeared on the stage in juvenile roles as Laura Bell. At Yates’ Adelphi, under the name of Mrs. Honey, she made a great success as Slykey (Psyche) with John Reeve in a burlesque called Cupid and in the title role of the fairy drama Lurline. She remained at the Adelphi from 1832 to 1840 and undertook the management of the City of London. Her performances were confined to light comedy roles, especially breeches parts. She died young.